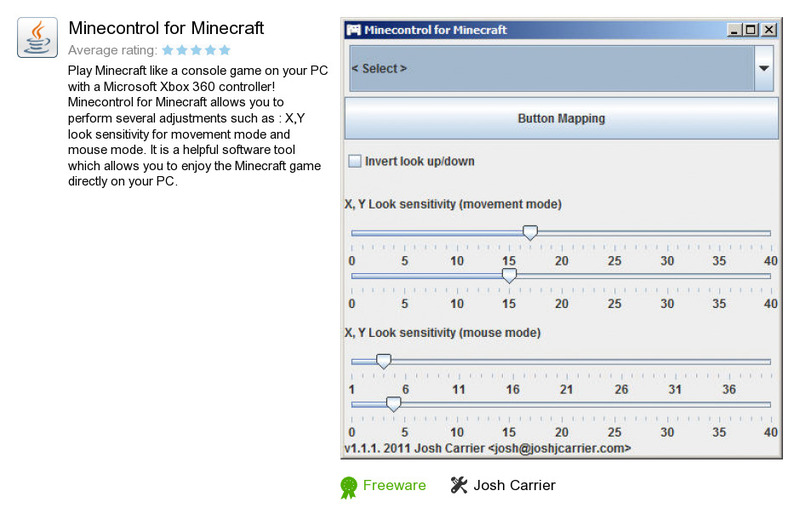 Minecontrol for Minecraft is a program developed by Josh Carrier. We know of version 1.1. Version 1.1 is available for free download at our site. Minecontrol for Minecraft installation package has a size of 16,271 bytes. Skype Click to Call Skype Technologies S.A.